Regular visitors to Skipedia may recall our suggestion that Banksy had visited Meribel last winter season. 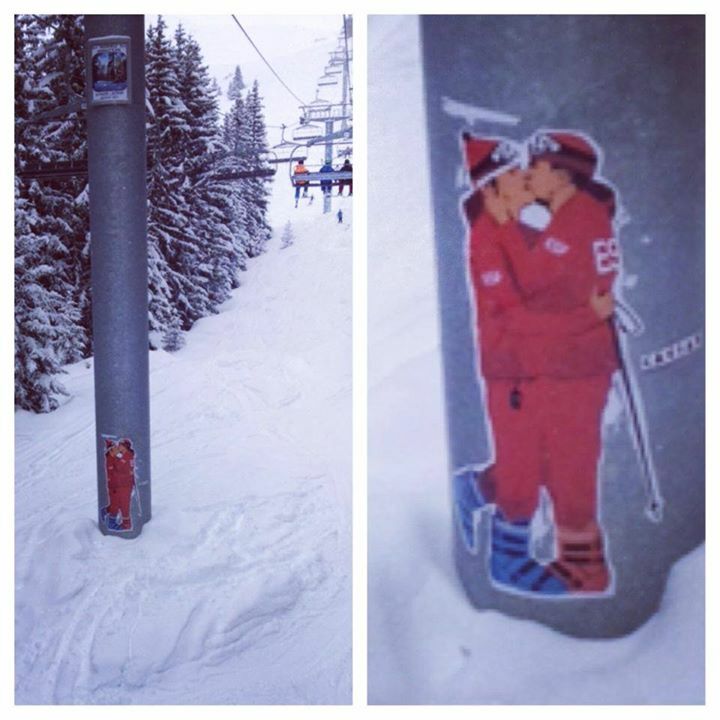 Has Banksy been to Meribel? Should you wish to contribute or purchase your own ‘kissing instructors’ tshirt, postcard or poster you can do so here. This is possibly the first time we have ever seen a campaign of urban art (rural art?) use crowdsourcing, but best of luck to Caesar. He certainly added a sense of humour to the whole ESF v. various Brits farrago last season – and we certainly needed something to smile about.